Several treatments can help change the appearance of one’s teeth. For people conscious of the shape and color of their smile, composite bonding and porcelain veneers can address those characteristics. To learn more about cosmetic dental treatments, schedule an appointment at our Fresno, CA studio to meet with Dr. Denes and discuss your options. Two less invasive cosmetic treatments for adjusting the color, brightness, and shape of one’s smile are composite bonding and porcelain veneers. Composite bonding shapes and molds composite resin material to one’s teeth to whiten and straighten one’s smile. Porcelain veneers are thin shells of ceramic material that Dr. Denes will bond to the front of the teeth. Like composite bonding, veneers can also be adjusted to the white shade that you choose for a seamless fit but can additionally change the shape of teeth and close gaps between them. Composite bonding can correct chipped teeth, close spaces between teeth, and reduce the visibility of tooth stains. Composite resin material can be mixed to match existing tooth color, making the restoration appear natural. Composite resin fillings can also replace previous amalgam (made of a metal mixture) fillings that are beginning to deteriorate, or that are visible when a patient is laughing or talking. Amalgam fillings start off silver in color but can darken over time. However, if one’s smile is crooked due to occlusion, an underbite or overbite, composite bonding will not correct those issues. Bonding primarily serves as a cosmetic solution to aesthetic concerns. The cosmetic bonding process, compared to the porcelain veneers process, is short and simple. After an initial consultation, composite bonding can be completed in one visit. The dentist will first remove surface enamel, in order to shape the composite resin to the tooth. After applying a bonding agent, the composite resin is placed and shaped. Denes will cure the resin with a special light and will polish the treated teeth. Porcelain veneers bond to the front of teeth and can change the color, shape, and size of one’s teeth. 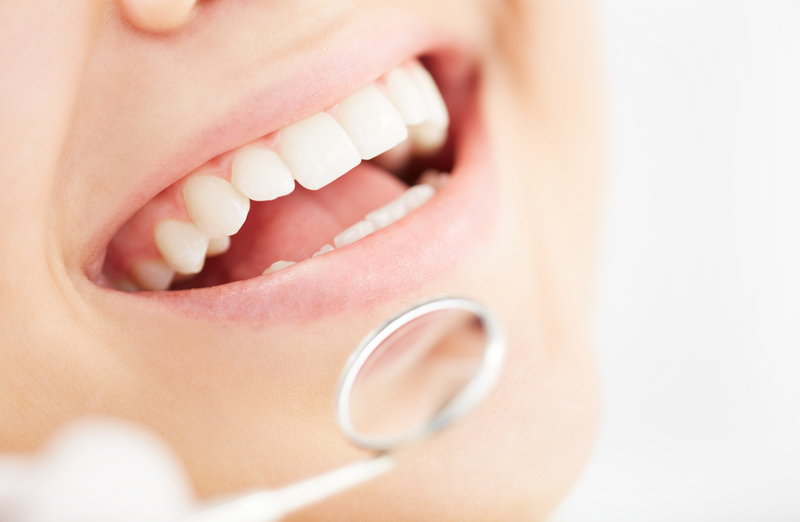 Veneers can address discolored, worn down, chipped or broken teeth and spaces between teeth. The porcelain veneer process consists of three stages: consultation and treatment planning, preparation of teeth receiving veneers, and the final bonding of the permanent veneers to your teeth. Discuss your smile goals and what you want to achieve, color, shape, etc. If you have refrained from talking, laughing, or smiling around people because you felt self-conscious about the appearance of your teeth, contact us at (559) 297-1294 to schedule an appointment at Fresno Dental Studio in CA to start the process of transforming your smile. Composite bonding and porcelain veneers have provided many people with a smile that they love to show off and we would love to help you achieve that! What Treatments are Involved in a Full Mouth Reconstruction?